Rangers have signed Scotland midfielder Graham Dorrans from Norwich City for an undisclosed fee. The Ibrox club had two bids rejected by the Canaries for the 30-year-old Scot, who becomes Pedro Caixinha's ninth summer signing. Dorrans told Rangers TV: "It feels incredible. It has been a long couple of weeks, but to finally get it over the line is an incredible feeling. "I just can't wait to get the boots on and get started." Bruno Alves, Daniel Candeias, Carlos Pena, Eduardo Herrera, Dalcio, Ryan Jack, Alfredo Morelos and Fabio Cardoso have all made the move to Ibrox. Dorrans made his senior debut for Livingston in a Scottish Premier League game against Kilmarnock in May 2005 and went on to make 91 appearances for the West Lothian club before joining West Bromwich Albion in July 2008. He had seven seasons at the Hawthorns, spending his last four months on loan at Norwich, who he signed for in the summer of 2015. He made 25 appearances in his first season and a further 24 last term. 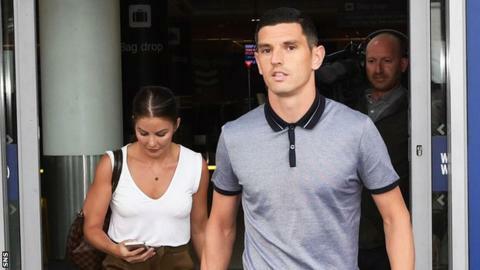 After signing a three-year deal with the Ibrox club, Dorrans added: "I don't think there is ever a wrong time to come to a football club like this. "The size of this football club is incredible - I've obviously had great times down in England, especially at West Brom, but growing up, I knew I always wanted to come to this football club and when the chance came around I jumped at it."